We went to the laundry on Wednesday morning to do the wash we intended to do on Tuesday. There were two other ladies there, but it was not crowded. One of them left for a few minutes and came back with two daughters about three and four years old. They livened up the room. The owner of the laundry and a service technician were working on the snack vending machine. After they got the machine working, the owner filled the machine with snacks. I guess not many people in the area eat chili cheese Fritos, because he had a lot of packages of them that had reached their expiration date. He gave away a couple of packages to the younger ladies in the laundry and took the rest away for disposal. We returned home and I wrote while Kathi watched TV. She made me a delicious cheeseburger for lunch. I like mayo, onions lettuce tomato and sweet gherkins on my burgers. When I get hamburgers outside the home I usually throw away half of the dills the give me. Sweet pickles make for better burgers, in my opinion. We were supposed to have lunch with my sister and her husband yesterday, but they were not feeling well. I hope they are feeling better today. Kathi and I ate lunch at Mamacitas in Webster. As soon as I went in the door, the cigarette smell was overwhelming. They still have a smoking section next to the bar and obviously, smoke has saturated the walls and furnishings in that area. We ate lunch there yesterday, but probably will not return. I had beef quesadillas and Kathi had spinach enchiladas. The food was good, but the atmosphere, not so much. After lunch, we stopped at Great Clips for haircuts. I knew it had been a while since my last haircut. She told me my last visit was in September of last year. Not surprising. My hair was curling around my ears. Her records showed I normally got 1” off the top. On this trip, I think a little more hair-reduction was necessary. We made a stop in Walgreen's on the way some and found some valentine candy on sale for 50% off. I know down deep inside that chocolate is good for me, so we bought a couple of boxes. 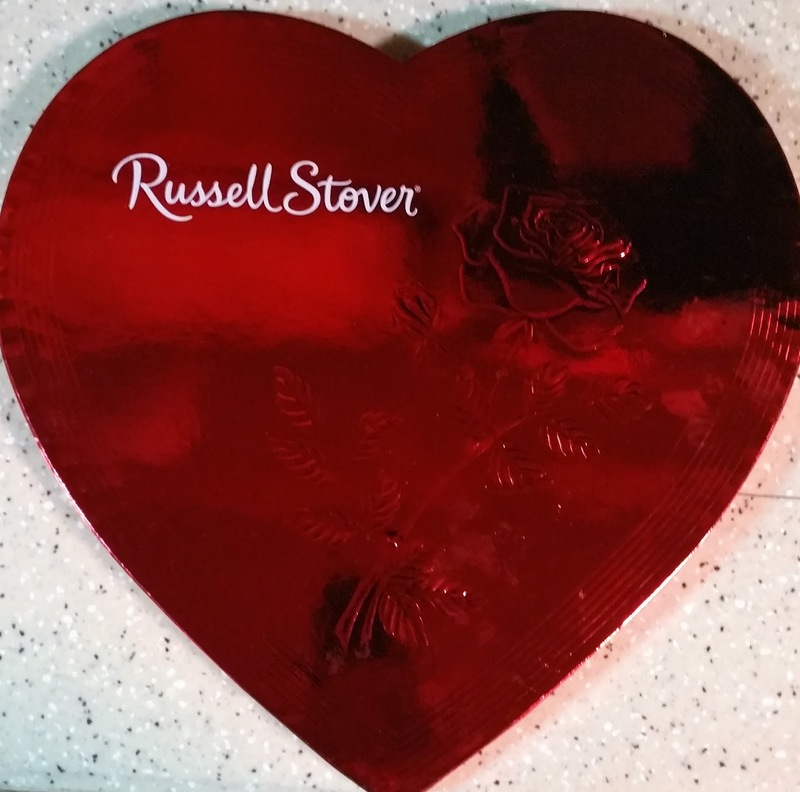 The solid milk chocolate heart did not last long, but the box of assorted chocolates is still servicing our chocolate needs. Now it’s a wet Friday and we are staying in today. I had another cheeseburger for lunch and Kathi had a gourmet grilled cheese sandwich. I will be writing a little this afternoon and Kathi is watching TV. A slow, wet day at home is good for me. Maybe sunshine tomorrow.